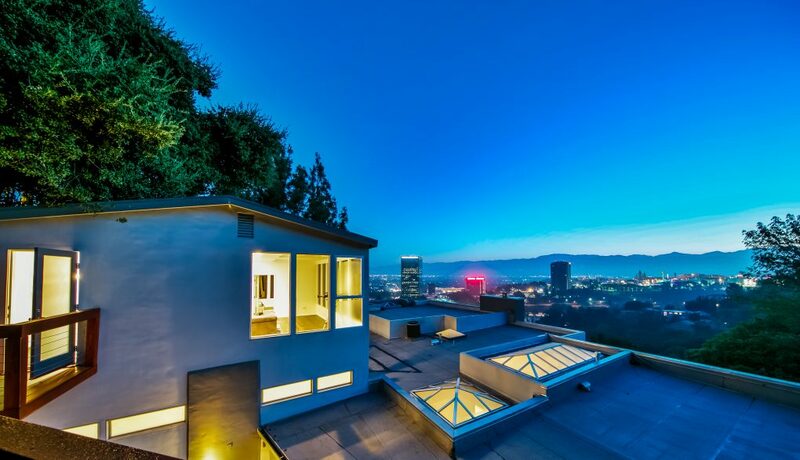 A hillside Los Angeles home once lived in by model and “Dancing With The Stars” contestant Amber Rose is on the market for $5,099,000, down over 10% from the original asking price according to Zillow. Rose lived in the 9,300+ sq. 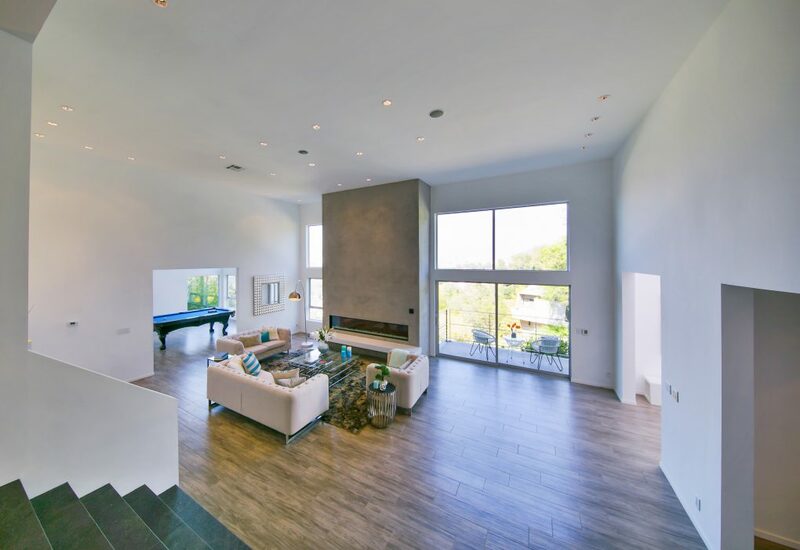 ft. contemporary home for about a year before purchasing a house in Tarzana. Built in 1989, the six-bedroom home has been extensively remodeled. 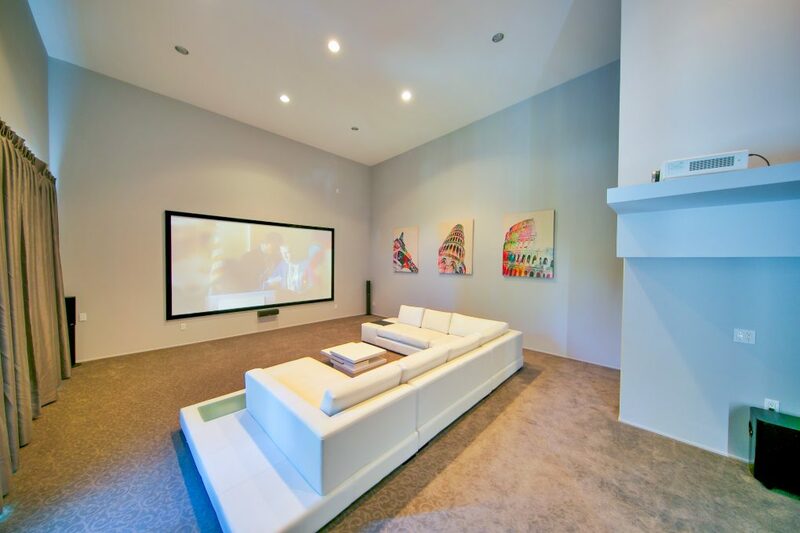 The home’s main entertaining space is an enormous living room that connects to an informal area and a dining room. The chef’s kitchen boasts European finishes, Caesarstone countertops, and all Miele appliances including a built-in fridge and a wine tower. The east wing of the home includes the theater room, two bedrooms, and a junior master suite opening to an outdoor patio area. The master suite has dual baths. The west wing has another bedroom with an en-suite bathroom, plus an office/lounge areas. The home also includes an attached one-bedroom guesthouse that has a bathroom, a kitchen and a living room. Other additional features of the home include a pool and spa, a private gazebo, 8 security cameras, and parking for 8 cars. 3581 Multiview Drive is listed by Roger Perry of Rodeo Realty. The home is also available for lease at $25,000 a month.